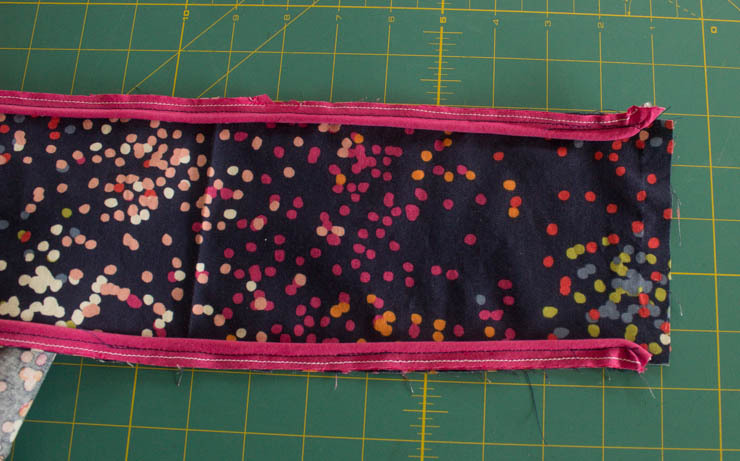 Adding a bit of piping in a seam is an easy way to give your finished garment some pizazz, and often a pop of color as well. I don’t really consider this to be a couture technique; tho some folks do. Really, it is easy. Just start by including it in a straight seam rather than something curved like a collar, and then after you get the hang of it you can go crazy. 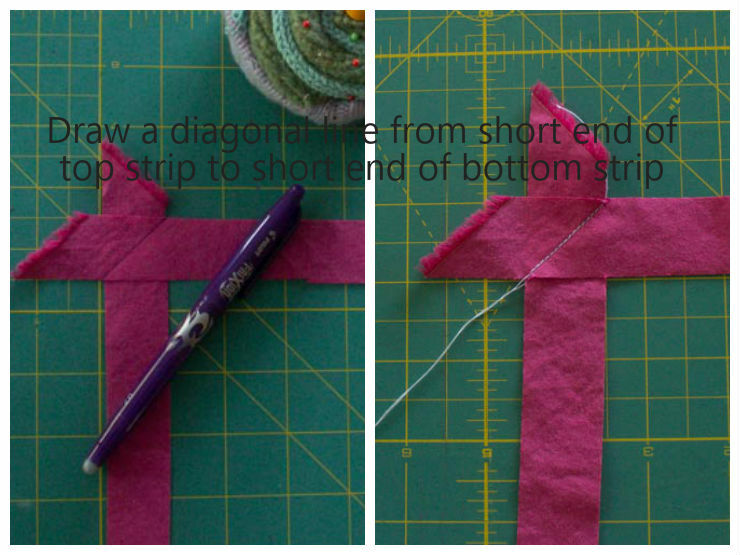 In this tute I am going to show you how to make only a short length of bias—using the strip piecing method. 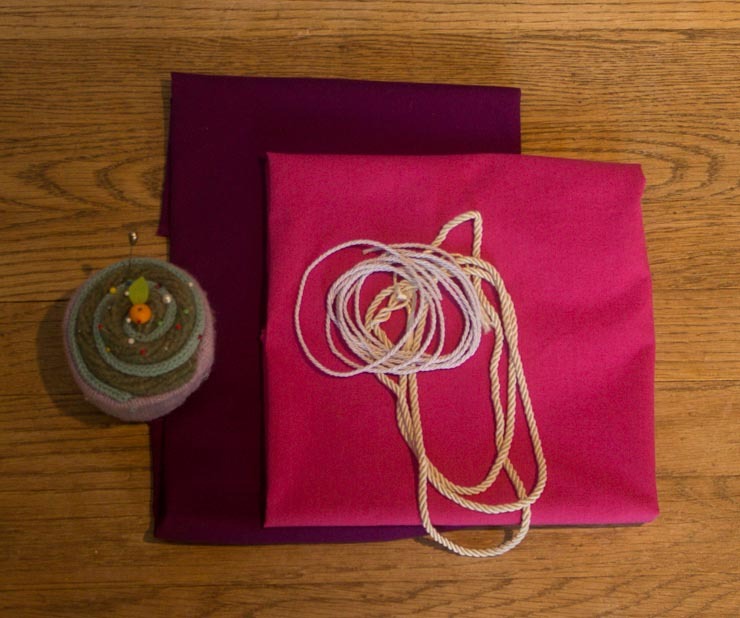 If you need yards of bias, Rachel on Coletterie has a lovely tutorial on making continuous bias tape. 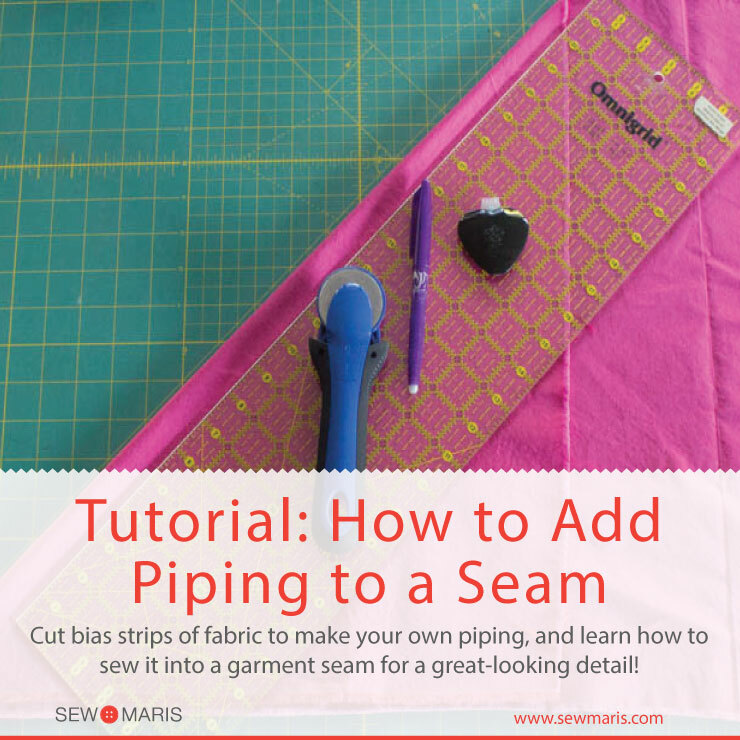 I want to focus here on how you add piping—either that you make yourself or purchase ready-made—into a seam for a polished, RTW detail in your garment seams! So let’s just get down to it! Measure the width of your cording (mine was 1/8 inch). 1. Press or mark a line at a 45° angle to the selvage edge of your fabric. 2. Cut on the marked line, being careful to cut straight and not stretch the bias edge of the fabric. 4. Right sides together, place one strip perpendicular to another. Mark a diagonal line from 1 short edge to the other short edge of your strips. 5. Stitch along the marked line, and trim the seam allowance to no more than 1/4 inch. Press open. 6. Continue as in step 5 above until your strip is at least a few inches longer than the seam the piping will be inserted into. 7. Fold the pieced bias strip over the cording, wrong sides together. 8. Using your regular presser foot, stitch with the left side of the presser foot against the cording. 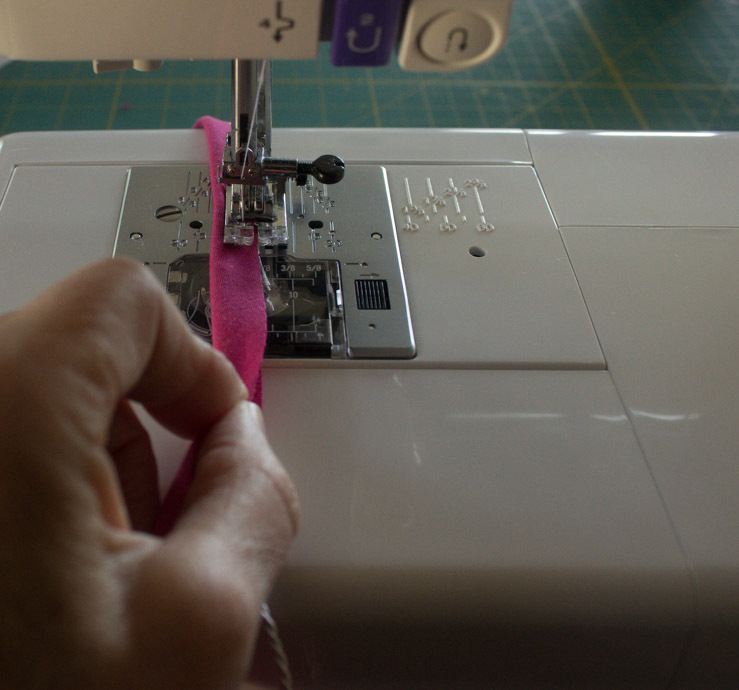 Do NOT worry that the stitching is not close enough to the cording; you are going to stitch this piping 2 more times before you are done, and the last stitching will be snuggied right up against the cord. Trust me! 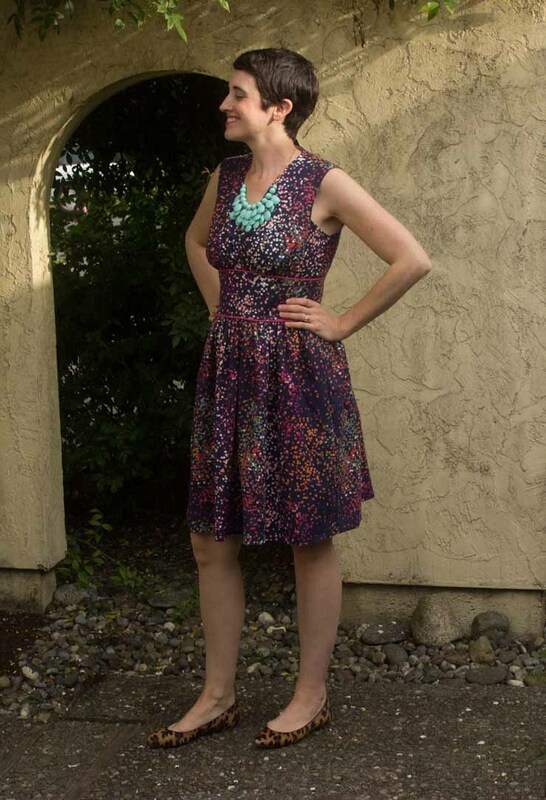 Now all you need to do is just finish your garment construction per your pattern instructions. In my example, the piping was stitched to the top edge and the bottom edge of the midriff section, so the next steps were to stitch the bodice and skirt pieces to the piped midriff section. 3. Right sides together, lay the remaining garment piece (skirt, in my example) on the piped piece (midriff, in my example). Pin and stitch on the piped fabric side (in my example, on the midriff) so you can see where to stitch a bit closer to the piping. In the image above my final stitching is closer to my fingertips, and the stitching that applied the piping to the midriff is closer to the raw edge. Hint: A bulky cording foot is super helpful here if you have one, or a 3-tuck pintuck foot can work too. 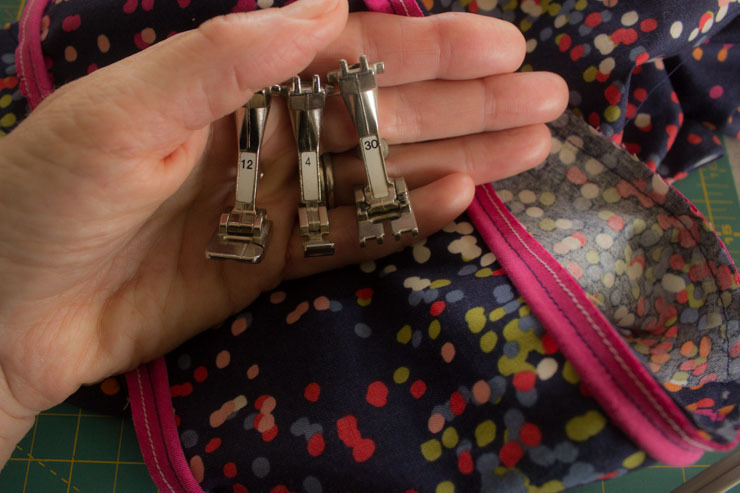 If you use a zipper foot you are going to have to pay attention and keep your stitching as close as possible to the piping. 4. 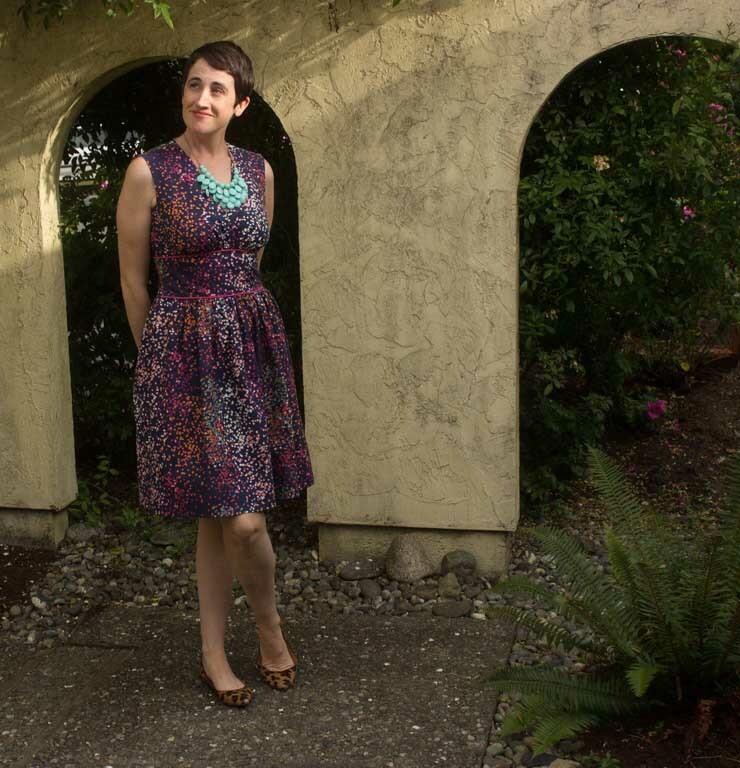 Flip your garment to the right side, and check that your piping looks an even circumference for the entire seam length. 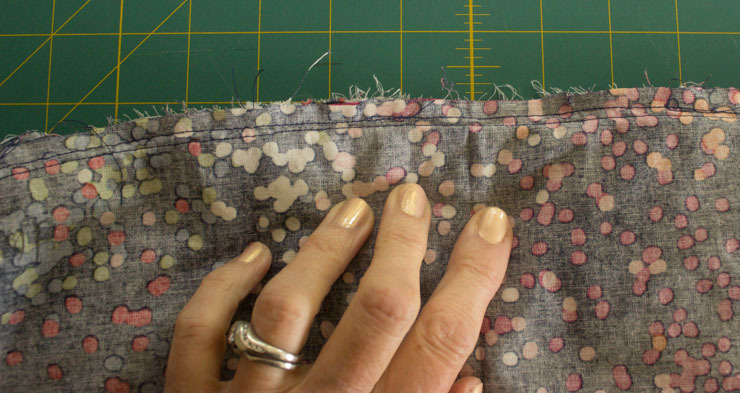 Make any necessary adjustments—meaning, stitch a little closer or make friends with your seam ripper rip a bit and stitch again. Now that wasn’t so bad was it? And look at what a difference it makes in the finished product! I LOVE piping and definitely don’t use it enough. I was thinking of adding some to a pair of pants I’m working on (Like i’ve done before) but was talking myself out of it. You may have re-inspired me to ‘just do it’. Do it! You will love the finished product more than the effort required to make and apply the piping, right?